My blogging has slowed down considerably over the past few months for all kinds of reasons. I hope to be back at it soon. In the meantime, here’s a book review that I wrote for Muftah.org, a great site that offers insightful articles and analysis on Middle East politics, culture, art, and other themes. This article originally appeared in Muftah.org on August 26, 2013 and is reprinted with permission. In 2001, the British government accused “Mr. G” of being a terrorist. In withholding his full name, the government claimed even this basic scrap of humanity posed a security threat. In 2004, the British government grudgingly conceded that imprisoning individuals indefinitely without charge (a lesson still not learned by the United States) was inappropriate. As a result, Mr. G and a dozen others accused of “terrorism” were moved out of the infamous Belmarsh Prison – known as the British counterpart to the U.S. detention facility at Guantánamo Bay – and placed them under strict house arrest. Under house arrest, known as “Control Order,” the British outfitted Mr. G with an electronic tag, which prevented him from freely leaving his home. Mr. G was also required to call the tagging company five times a day to confirm he was abiding by the terms of the arrangement. This required he make one phone call every four hours and forty-eight minutes, without exception. This meant Mr. G. was not able to sleep for more than several hours at a time. Mr. G was permitted to leave his house for two hours a day to visit one of a handful of places in the small geographic area permitted by the Control Order, but he was required to call the company when he departed and returned home. If he missed even one phone call or if the phone issued by the government malfunctioned (which frequently happened), Mr. G would be arrested and taken back to the Special Immigration Appeals Court (SIAC) for a hearing. SIAC, a Kafkaesque system instituted for the purposes of managing “foreign nationals that the Home Secretary wished to deport on national security grounds” (p.54), differs in key ways from the American military tribunals set up for Guantánamo detainees who have been granted trials. Under SIAC, special lawyers with high security clearances were able to see evidence but not meet their clients. In other ways, the SIAC resembles the US immigration system, in which immigrants can be deported without judicial review. Of course, the tagging company could check on him at any hour of the day. The company often visited him late at night, which would inevitably involve waking up Mr. G, his wife and their young children. Mr. G’s story is embedded in a larger phenomenon of discipline and harassment of many Muslim families, as told by Victoria Brittain, an acclaimed journalist, author, playwright and former associate foreign editor at the Guardian, in her harrowing chronicle of lawlessness by the British and US governments, Shadow Lives: The Forgotten Women of the War on Terror (London: Pluto Books 2013). 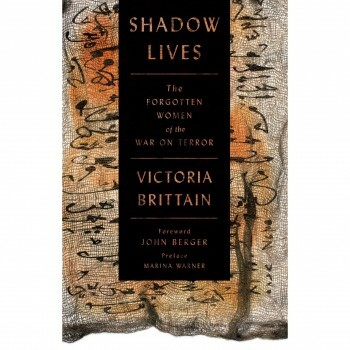 Though Brittain’s book focuses primarily on the often invisible and ignored women affected by the West’s so-called counterterrorism policies and military adventurism, it is impossible to tell their stories in isolation from the men who have also been affected; it is their plight – targeted, spied on, abducted, arrested, tortured, held captive and denied fundamental human rights in Guantánamo, Belmarsh and under house arrest. These bureaucracies, dominated by contempt and an astonishingly ungrounded belief that Muslims are inherent threats to national security, exacerbate already the trying circumstances under which these women must decide how to sustain themselves and their families. The women featured in Brittain’s book must shoulder the burden of keeping their families intact and, all too often, face the maddening task of ensuring those they love and care for do not lose their mental bearings, as many of their husbands and sons already have. In fewer than 200 pages, Shadow Lives reveals the compelling and tragic stories of multiple women and their families, who endure extraordinary alienation and punitive circumstances on a daily basis. There is Hamda, whose elderly, wheelchair-bound and diabetic husband, Mr. OO, was a teacher and imam tortured by Jordanian authorities before obtaining refugee status in Britain, only to be subsequently imprisoned in Belmarsh. There are the children of Abu Qatada, who look forward to daily calls from their imprisoned father, so they can tell him about their school day. Farida, the mother of Talha Ahsan, describes her detained son’s reflective nature and voracious appetite for literature. Ahsan was imprisoned in Belmarsh before being extradited to the United States and placed for several years in solitary confinement in a Supermax prison—despite suffering from autism. Noor Elashi is the youngest daughter of Ghassan Elashi, a Palestinian businessman, philanthropist and former director of the Texas chapter of the Council of American-Islamic Relations (CAIR). In 2009, her father was convicted of materially supporting terrorism simply for running a charity, the Holy Land Foundation, which sent aid to the besieged people of Gaza. Now a writer and advocate, Elashi remembers how her father Ghassan would take her to human rights demonstrations as a child, and recalls spending her teen years in courtrooms where her father was on trial. Laila Al Arian, a journalist, whose own father was also convicted under the material support statute, cries when she thinks of another woman, Mariam, suffering from the absence of her brother Ahmed, who is confined in a Supermax prison in the United States. For many men subject to the UK’s Control Orders system, house arrest has meant stark conditions and restrictions for their families as well. Toys and computers are typically confiscated. There is “no Internet for homework, no mobile phones for calling friends,” explains Brittain. While these prohibitions may seem trivial by comparison, they are harsh measures for children. Police are allowed to enter the house at any time, exposing children and their school friends to the intrusion, violation, and humiliation, stories of which often quickly spread through a community. Under the Control Order system, Muslim men are prohibited from setting foot outside their own house, even to go into the garden, without permission. Visitors must be pre-cleared by the British Home Secretary. The extreme psychological effects of this kind of legal, institutional, and systemic harassment are painfully present. Women and children must learn to live with the knowledge that a family member extradited to the United States will remain confined for years. They witness strip searches, which violate the tents of their faith. Many of the spouses of these unjustly detained men must ensure their accused family members abide by the conditions of the Control Order, leading to stressful, – if not outright absurd – scenarios. At one point in the book, Josephine, Mr. G’s wife, tells of the tragicomedy of errors surrounding the delivery and installation of a new washing machine. Then I was ringing the solicitor, and she needed the name of the plumber who was coming after the delivery men, to get permission from the Home Office for him to enter, but the plumbing company could not say the name of which man would come. It was stalemate. In the evening my solicitor hired a different plumber and told the Home Office his name, and he came, and the man from the Home Office came at the same time. Then after all that, the man from the Home Office just sat there on the sofa and never even went downstairs to see the plumber fixing the machine. So, we’d paid two plumbers. For what? Brittain reports that Josephine laughed as she recounted this anecdote. Behind the smile, though, is the stamina and determination emblematic of all the women profiled by Brittain. Their efforts are doubly striking, as many of them are migrants accustomed to intimate extended family networks in their countries of origin, but are completely isolated in their country of residence. Some have limited English-language skills and must learn how to navigate the bureaucracy that oversees their spouses’ incarceration. These are but some of the details that emerge from the stories Brittain weaves. Together, they illuminate both the internal dynamics of strength and sorrow that grip affected families, as well as the suspicion, bigotry and hostility that serve as their constant ether that they must breathe in order to get from one day to the next. Brittain’s book is as riveting as it is disturbing. Many writers covering the impact and implications of the Global War on Terror are often uninterested or incapable of integrating a structural analysis into attempts to humanize the myriad families whose lives have been deeply affected by post-9/11 fear, paranoia and hysteria. The elements that form the building blocks of the Global War on Terror are drawn in extensive detail in Brittain’s introduction. They frame the personal stories told in her book. She augments this vital history with the story of post-colonial Algerian politics, Chechen struggles, Islamist conflicts in London, U.S. embassy bombings in East Africa, and the politics of Egypt and Pakistan and their evolution into a global struggle against the United States led by the Muslim Brotherhood—and eventually, Al Qaeda. Continuing through the attacks of September 11, 2001, Brittain’s geneaology also explores more familiar post-9/11 politics of fear-mongering stoked by George W. Bush and Tony Blair. We learn of the passage of punitive material support laws and policies of profiling and surveillance. In so doing, Brittain, incorporates stories of other men who have been targeted by the United States in the War on Terror. She introduces her readers to University of South Florida professor Sami Al Arian and an oncologist named Rafil Dhafir, both convicted of “material support for terrorism”: Al Arian for championing Palestinian rights; Dhafir for sending food and medicine to Iraqis in violation of U.S. sanctions. She also includes the bizarre case of Aafia Siddiqui, a U.S.-educated neuroscientist who, along with her three children, disappeared in Pakistan for years. Siddiqui mysteriously reappeared in U.S. military custody in 2010 and was charged for firing at a U.S. soldier (and not for any terror-related charges). She was named as a co-conspirator by her husband’s uncle, Khalid Sheikh Mohammed, while he was subjected to torture. Despite the lack of corroborating evidence for the shooting, Siddiqui was convicted and sentenced to 86 years in federal prison. The Global War on Terror is demystified and de-exoticized by Brittain’s deft narrative. She presents the war as the latest incarnation of a decades-old global conflict, which has reinvented enemies as allies and cast entire Middle Eastern, North African, and South Asian populations as criminals and combatants. In her past reporting, Brittain has been closely involved with victims of the Global War on Terror. She has written numerous pieces defending men who have been targeted without a shred of evidence and detained indefinitely without charge. In a recent article, she recounted the story of Omar Othman, aka Abu Qatada, an imam who lost an eight-year fight against deportation from the UK, based exclusively on classified evidence, and accompanied by much vitriol from politicians such as David Cameron. Brittain has also co-authored a book with Moazzem Begg, one of the better known former Guantánamo detainees, who has since formed the advocacy group, Cage Prisoners, which publicizes the stories and champions the rights of those imprisoned at Guantánamo and elsewhere under the guise of the Global War on Terror. There are many unforgettable stories in this deceptively short volume, too many to recount here in detail. They are rendered in exquisite and sympathetic detail, and illustrate the miraculous achievement of keeping families together in the face of persecution. Brittain writes of the structured home lives created for the children, and the easy intimacy between all family members. It is clear that Brittain considers these people friends and feels honored to be allowed into their world. Shadow Lives is a book to be read by all who are keen to examine the unmentioned details of the Global War on Terror – even those who believe they are already familiar with the undue tribulations faced by the accused and their families. It is a book to be examined by those who remain unconvinced that American and European counterterrorism policies result in inhumane or deep hardship for Muslims. It is accessible enough to be read by teenagers and college faculty alike. It is politically and culturally informative enough for Western feminists and other political activists to learn something substantial from it. There are deep ethical and philosophical issues embedded in every chapter of this book yet, to Brittain’s credit, these topics emerge organically through the details of each personal story of struggle and courage. Her beautiful prose is the ultimate counterweight to the horrors she reveals. In painting (‘writing’ is not an adequate term) these portraits, Brittain has soberly drawn us into the lives and livelihoods of sturdy, resilient, and resourceful women, each of whom is heroic in her own quiet, subdued way. Shadow Lives is the ultimate account of a society that has traded the rule of law for violence and fear; a poignant reminder that the humanity we have been forced to sacrifice on the altar of security remains intact in the hearts of our innumerable victims.